Nice shot of the Sanderlings. Someone reported a Wood Sandpiper in Melbourne over the weekend so the south is obviously starting. Wow that made it down south pretty quickly! Hi Stuart! The weather has been up and down here also, it's a bit crazy for this time of year. 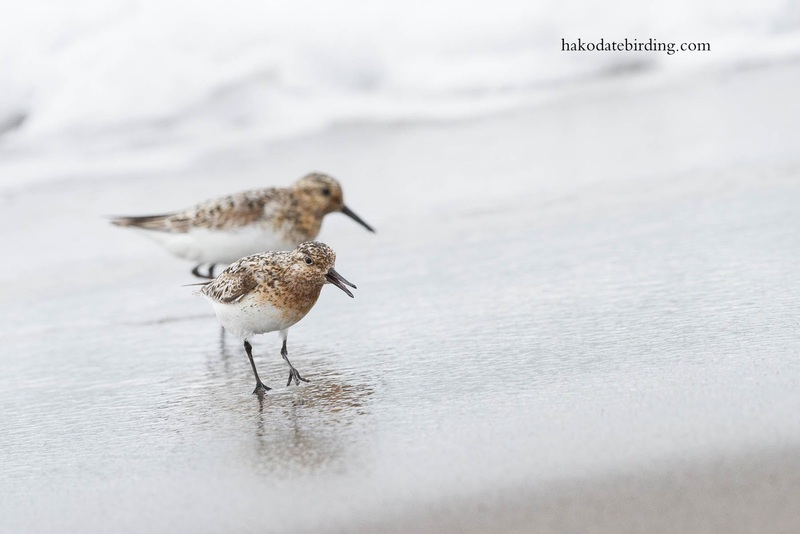 I like your photo of these little Sanderlings, cute speckled guys! More waders, - send them down here, please ! I've only seen about 10 individuals of about 5 species so far John............they'd be lost in the middle of Mai Po. It's been a "Wood Sand August" here - very unusual. Had another today but waiting for a bigger push of most waders.